For many people, attempting to read sheet music is similar to trying to decipher a foreign language. Even hieroglyphics are easier to understand. But even with the complexity that most associate with sheet music upon their first encounter, its historical richness, and world impact is of immense beauty and power. Music is innate to human nature– it’s a form of expression rather than one specific language or means of communication. It can be interpreted in a multitude of ways and be soothing or abrasive. 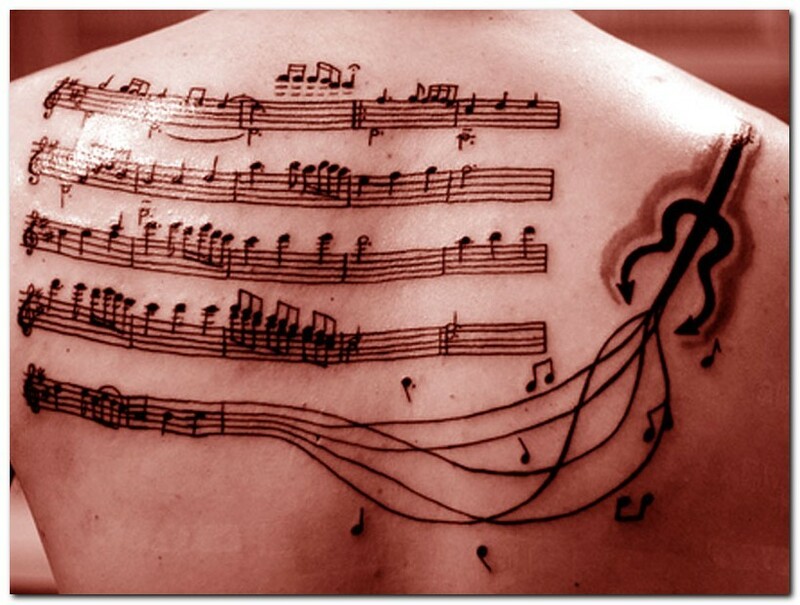 With music, there is an endless possibility, and it all dates back to an archaic use of various dots on a set of lines. Some of the most influential musicians that have ever existed began by reading and writing movements in the form of sheet music. 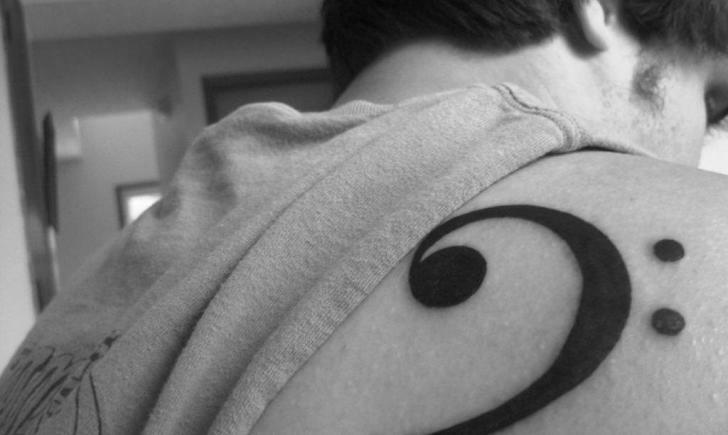 Here are some magnificent tattoos paying tribute to the physical form of something sonic and nearly intangible. 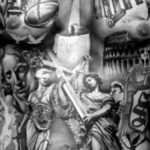 This giant staff wraps around the entirety of the arm and looks as if it was etched into the skin, beyond the capacity of a tattoo machine. The color and texture of the skin resemble a material such as papyrus. 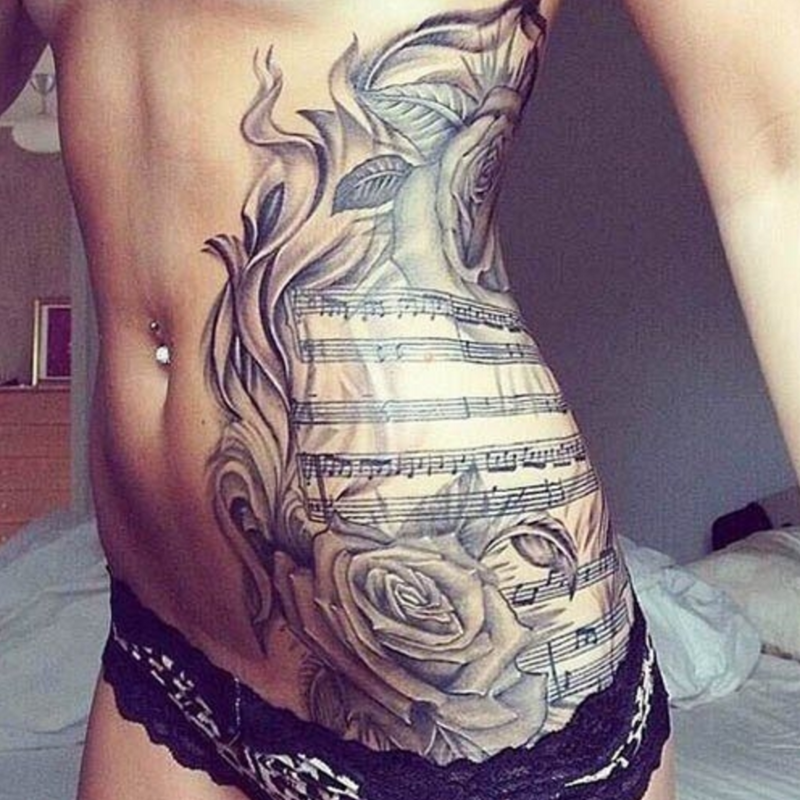 Combined with a delicately large and gorgeous black and grey rose piece, this music staff appears to be an exact replica from a book of classical compositions. 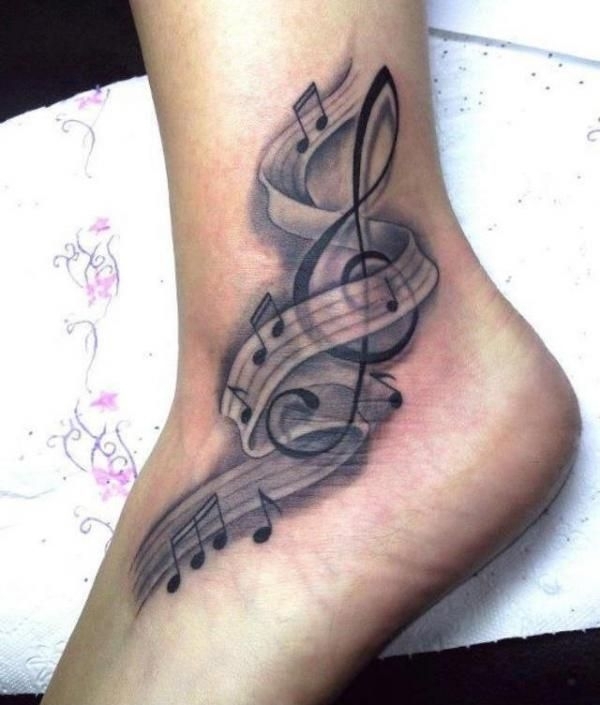 Here is a simple yet precise black ink foot tattoo. 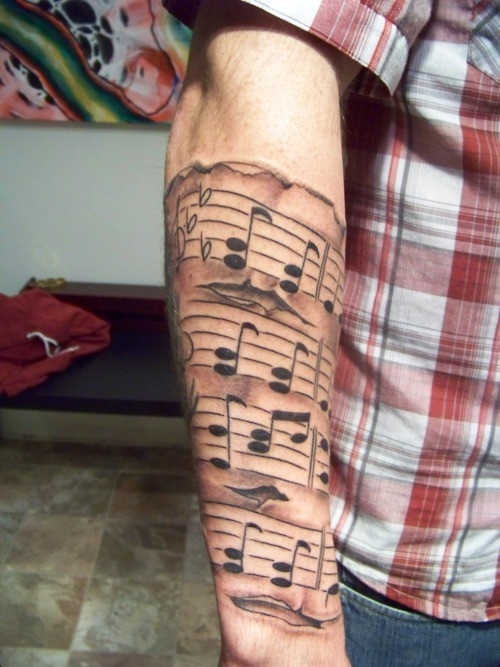 Its wavy nature mimics a scroll or flowing melody with the key and time signature strategically assigned. 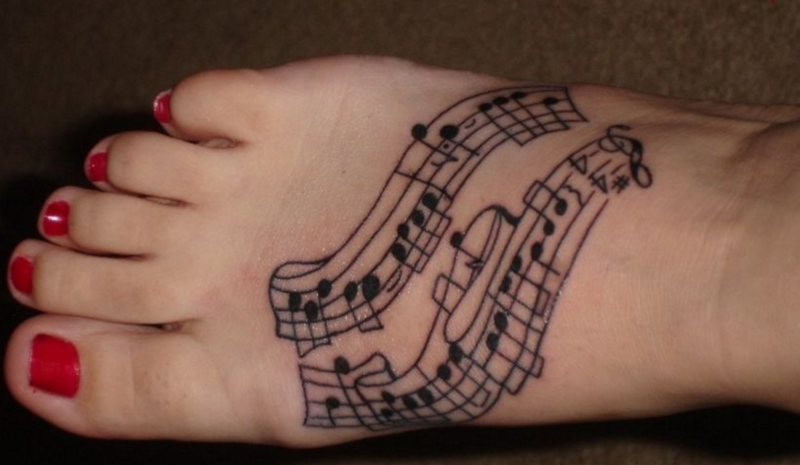 Here is another foot tattoo inspired by sheet music that plays with depth and shading to create movement along the ankle towards the toes. This sheet music back piece merges a staff with the unraveling strings of what appears to be the Devil’s guitar, comprised of horns and a violent glow as the melody falls apart. Here is a beautiful old-fashioned microphone finely detailed in black and grey with white highlights to enhance the realism of the piece. 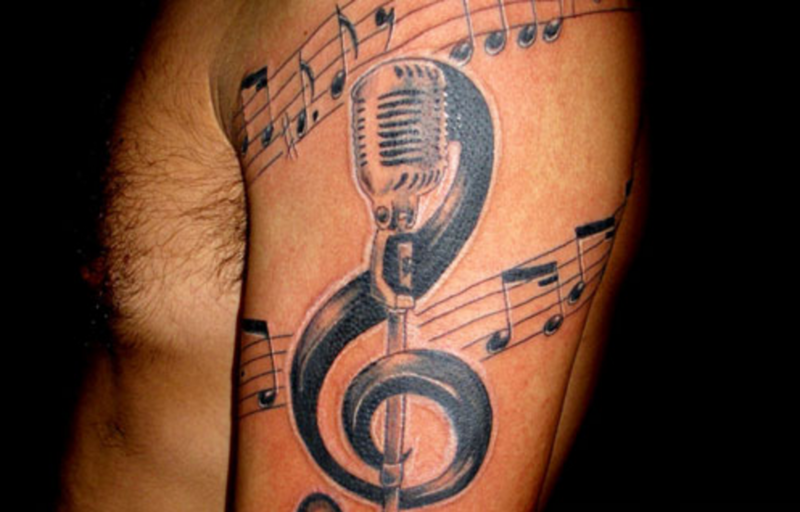 Backed by a treble clef and flowing music staff, this large half sleeve is the ultimate music lover’s ink. 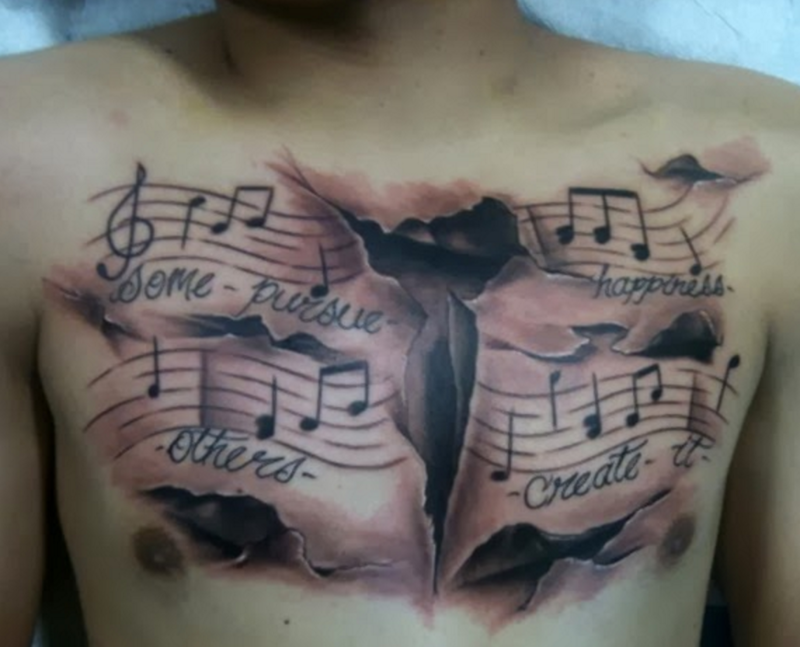 This lyrical yet graphic chest piece gives the illusion of torn skin over the torso. 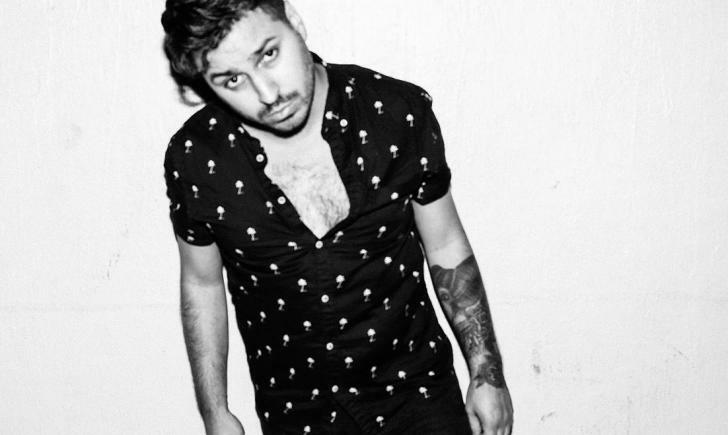 When combined with the lyrics, the tattoo resembles a lonely heart ripped out in search of happiness. 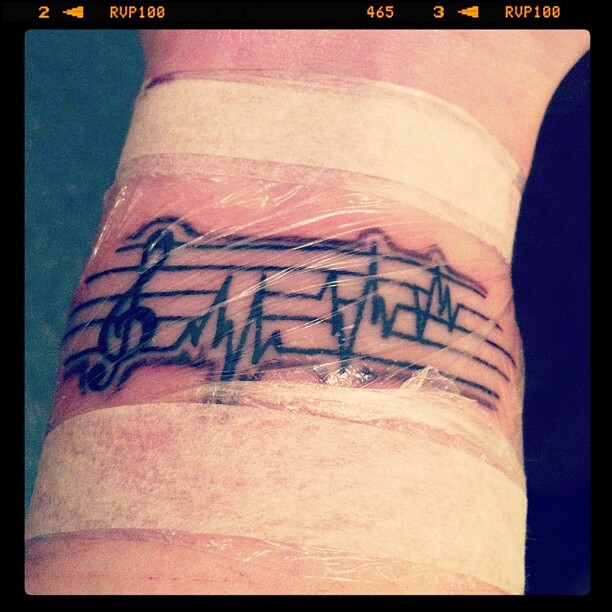 Lastly, this quaint yet unique wrist tattoo profoundly plays with the idea of the living heart rate as a form of music. What Took You so Long, Oklahoma?